If you want an easy way to create great looking shapes that look as though they’ve been designed by a graphics professional then take a look at the Xara’s SmartShapes selection. They’re a useful range of everyday shapes that you can drop right into your website or documents and then edit in a simple and intuitive way. Choose from Speech Bubbles, Arrows, Text boxes, Polygons, Stars, and many other shapes. 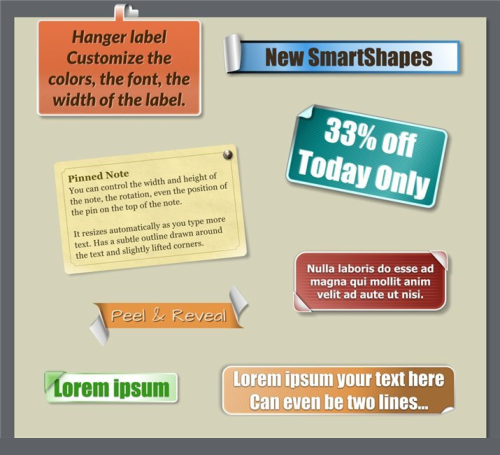 I’ll show you how you can customize these shapes for your website using Xara Web Designer 10. If you don’t have Xara Web Designer 10 you can download a free trial version to follow this tutorial.